Estonian authorities should strengthen the protection of women from violence, close the gender pay gap and uphold the rights of older people, according to a Council of Europe (CoE) report published on Friday. The report, issued by CoE Commissioner for Human Rights, Dunja Mijatović, follows a visit to Estonia in June. Noting significant progress in gender equality and adoption of legislation and policies, the Commissioner underscored the need for greater efforts in addressing gender stereotypes and prejudices. "The authorities should strengthen efforts to raise awareness about the negative impact of structural inequality between men and women, and support an education system able to promote gender equality throughout the country", the Commissioner said. Authorities should take comprehensive measures to tackle the range of factors causing the rather notable gender pay gap, the report added. While welcoming Estonia's adherence to the CoE Convention on preventing and combating violence against women and domestic violence (Istanbul Convention), violence against women also remains a pervasive human rights violation in Estonia, the report said. The report recommended public campaigns against gender-based violence and domestic violence, together with effective responses from the law enforcement and the judicial system. Continued training of law enforcement and judicial officials, strengthening legal assistance to victims, and teams of specialised prosecutors and judges to handle cases of gender-based violence should also take place, the report said. 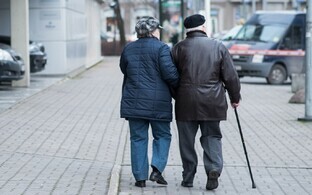 Addressing societal and economic challenges arising from a rapidly ageing population, in a way that fully protects the human rights of older persons, is also paramount, according to the report. The Commissioner encouraged authorities to develop a comprehensive strategy on older persons, such as adopting a stronger legal framework to combat discrimination in all fields of life, ensuring that older persons are aware of their human rights so that they can claim them, and conducting public awareness campaigns to combat prejudice, discrimination and stereotypes about older persons. "I am particularly concerned about the very high rate of poverty among older persons in Estonia,'' the Commissioner said. ''The authorities must ensure that older persons can live in dignity and enjoy their human rights to health, food and an adequate standard of living, including by raising social protection floors, which are currently inadequate," the Commissioner continued. The Commissioner also expressed concerns about the availability, organisation, cost and quality of long-term care services for older persons. In order to ensure their autonomy and well-being, the Commissioner invited the authorities to integrate in their upcoming Action Plan on long-term care a de-institutionalisation approach, which involves increasing home-based services and relocating elderly residents in smaller community-based living arrangements. The Commissioner further recommended increasing support to informal carers, to ensure that their human rights are also respected. 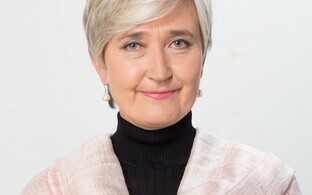 Given Estonia's strong focus on digitalisation, new technologies and artificial intelligence (AI), the Commissioner urged the authorities to support and empower older persons in the use of information and communications technology, enabling them to exercise their right to participate in social and public life fully. As the Estonian authorities move forward with drafting a strategy and legislation on AI, careful consideration must however be given to the ethical, legal and human rights implications of using robots and AI in the care of older persons, the report stated. Last, stressing the important contribution of national human rights structures in protecting the rights of citizens, the Commissioner recommended strengthening the independence of the Commissioner for Gender Equality and Equal Treatment and providing the office with sufficient and sustainable resources, so that it can effectively fulfil its mandate. The Commissioner also welcomed the recent decision to designate the Chancellor of Justice in Estonia as the National Human Rights Institution. The CoE is distinct from the European Union (EU). Formed in 1949, it is made up of 47 Member States. It is an official UN observer and membership of the CoE has been so far a prerequisite to joining the EU.